How to use my free Desktop Wallpapers. 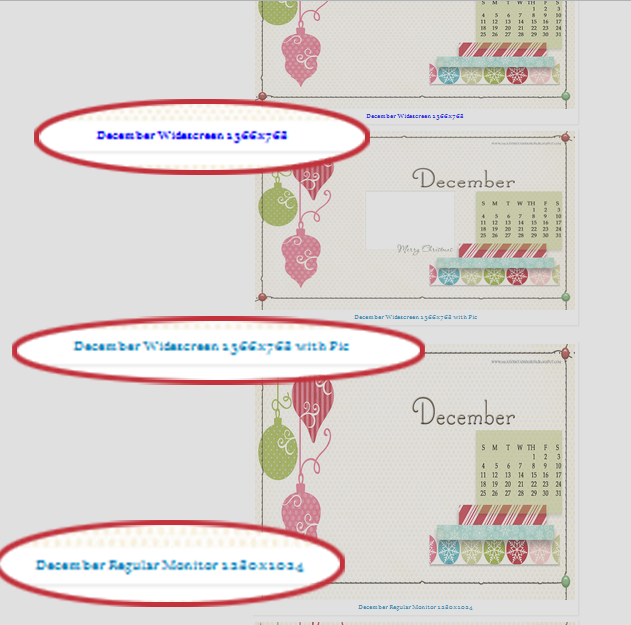 I've had several of my readers ask how to use the desktop backgrounds I offer on my blog. I'll show you one easy way that will just take a minute to do whether your using Windows or a Mac. You'll first want to pick which size desktop to download. It all depends on the size of your monitor. 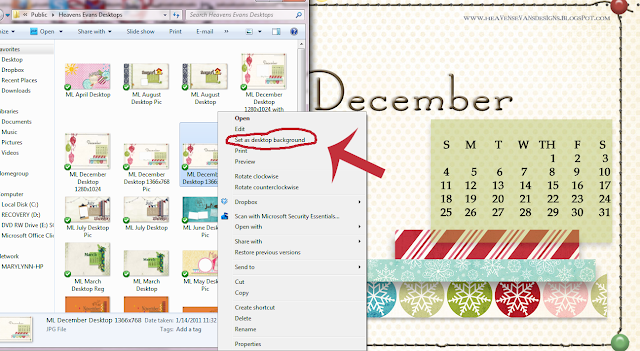 Either desktop calendar will look fine on your computer, but if you get the one that relates to the size of your computer monitor it will look best. Click on the link or the picture of your choice to download the desktop background to your computer. When you click on one of those links, a new window will pop up. You will then right click on the background and save it to your computer. You can save it to a new folder called Desktop Backgrounds or just save it to your desktop. Now that you have the new background downloaded to your computer go to where you saved it and right click that image. A box will pop up and you'll want to click 'Set as Desktop Background'. If you use a Mac you'll do pretty much the same thing. When you right click on the desktop background image, a box will pop up and you'll want to click 'Set Desktop Picture'. Click that and you're done! If you'd like to customize your desktop with a picture, I will be doing a tutorial for those soon. All my desktops are for personal use only. No commercial use or redistribution. Please contact me if you have any other questions about their use. Thanks!